Daryl Johnson (Worcester Park, United Kingdom) on 16 November 2008 in Architecture and Portfolio. 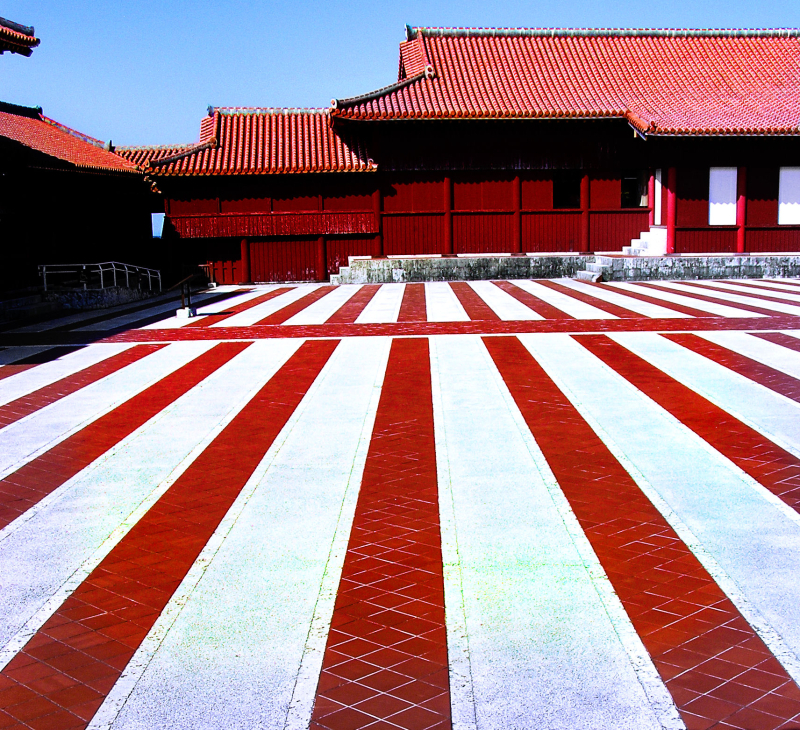 The una (forecourt) of Shuri castle, Naha. Those lines really draw you in! Good one. wow . . what an impact that red has on the senses . . I feel I could wander there only in a straight line ! Beautiful detail and superb lines. wow Daryl! Good to see such vibrant color! and those lines are awsome. I've been busy with life but I'm baaack! @Cheryl: Thanks Cheryl, welcome back. Thats so much red, I would love to see these amazing places, a great shot. This has even more impact than yesterday's image.... super shot. Very graphic picture. The color contrast is very effective. Excellent picture, Bravo. Superb graphics picure with a great colours contrast! How striking a place. The lines and your perspective to them are pretty magnificent. Fantastic red lines ; a beautiful shot ! Daryl, do oyu know if red lines symbolizes the rays of the rising sun? @Godo: Thanks for the comment Godo. The bright red used here predates Japan's rule of Okinawa - I think it's more of a Chinese influence, but I'm not an expert!